EFL lesson plan that focuses on the customs related to Halloween in the UK. Your students will watch a story of two kids who are preparing the Halloween party. By the end of the lesson young learners will be able to talk about the Halloween traditions in the UK and use present simple vs. present continuous with more confidence. 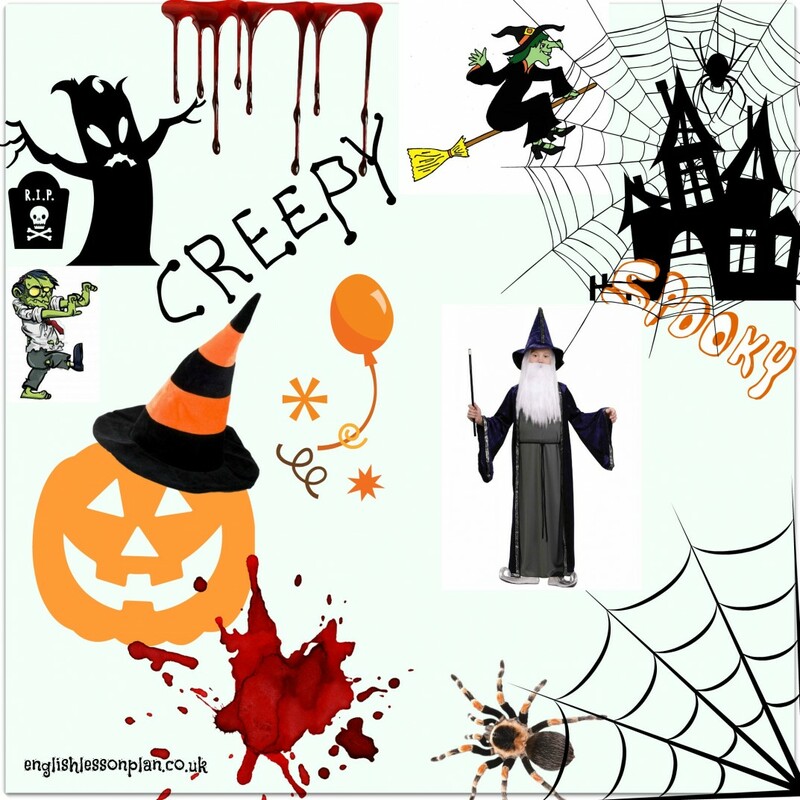 EFL lesson plan that focuses on the customs related to Halloween in the UK. Your students will watch a story of two kids who are preparing the Halloween party. By the end of the lesson young learners will be able to talk about the Halloween traditions in the UK + use present simple vs. present continuous with more confidence. Explain that people celebrate Halloween to remember the dead. It’s not a sad day but a happy one during which a lot of people wear fancy dress costumes and play games. Tell students that they’re going to watch a video about Jack who is preparing the Halloween party. Show students photos (click to open a new page with photos or find the slide-share at the bottom of this page) and ask them what’s happening in each photo. Ask students to work in pairs, distribute Exercise 1- see woksheet. Explain that they are going to listen to Jack and his friends in 6 different situations, students have to put the correct order of the photos. Play the video, let your students listen to the script first, don’t watch it yet. Play the video again, this time allow students to watch it as well. During the video Jack and his mum explain different customs and traditions performed during Halloween but also they refer to the things they’re planning this year. Your learners are going to watch the video again and find the difference between present simple and present continuous. 1. I………………….. a pumpkin lantern. 2.We ………………. fancy dress costumes. 3. I ……………. a sheet. 4.We …………… lots of food. 7.Our friends ………………. to the party. 1. I……….’m making…………. a pumpkin lantern. 2.We ……wear …………. fancy dress costumes. 3. I ……..’m wearing……. a sheet. 4.We …..have………. lots of food. 7.Our friends ………..come…….. to the party. 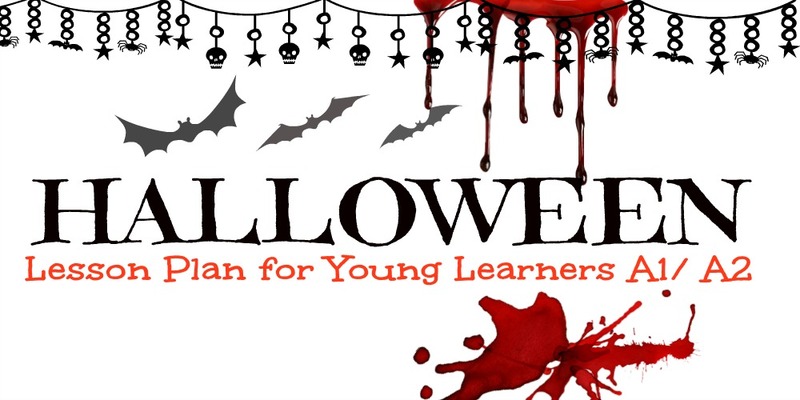 Ask learners to talk about the Halloween customs in their country + what are the things you’re doing this year. You could also play the games that Jack and his friends played in the video.